Friendship Force of Sacramento - Welcome Event for Tuxtla Gutierrez-River Cats Game and Tour! Welcome Event for Tuxtla Gutierrez-River Cats Game and Tour! Join us as we welcome the Ambassadors from Tuxtla Gutierrez, Mexico. Let's take 'em out to a ball game!! FF Sacramento and our ambassador guests have the opportunity to tour 'behind the scenes' at Raley Field. Tour begins at 5:30. 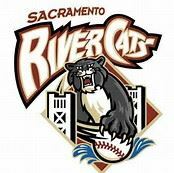 We will enjoy the tour and then attend a River Cats game which begins at 7:00. Cost for admission is reduced to $15 because our club is a non profit. We will have seats behind 3rd base in the shade. Dinner for ambassadors and hosts will be 2 hot dogs, an ice cream and a cold beverage (no charge). If you are not a host, the $15 charge covers the tour and admission to the game. Dinner will be on your own unless you are a host or ambassador. There will be $ 1 (one dollar) hot dogs and ice cream. It should be lots of fun, so mark the date and watch this site for reservation information and more details.